I admit to being a lover of comedy when it’s done right. Two of my favourite comedy series are Frasier and Everybody Loves Raymond. Below I will list why I love them so. That jingling music that is both funny and catchy. The family that is the Barone’s, dysfunctional in the best sense of the word. The timing and situations that happen. How it could be deep at times. And of course, the riotous humour. The ear worm of a theme song. The immense chemistry between the cast. The cast and guest stars that kept it so fresh. The way the characters were written and portrayed. How it knew when to bring in emotion. And last but not least, the scintillating comedy. I love these comedies, too! You have very good taste. Well…honestly I am not a huge comedy fan. If I had to name two shows that I do like it’s Friends, and The Big Bang Theory. Friends is a fantastic choice. Comedy is one of those genres that can be very hit and miss. Everybody Loves Raymond is one of my most favorite shows ever. I love The Office as well, but The Office eventually went bad and even certain episodes are forgettable. The Office characters started going stale and new ones were unbearable! Whereas every Raymond character only increased in goodness. My most favorite moments is when the entire family are together and having a moronic debate regarding secrets or crazy behavior. In general, Everybody Loves Raymond only got better and better as the show went on. The last season is amazing. Who cannot die laughing at The Home and Not So Fast? I really felt they honored each character with a one last episode for them. Kind of giving them the spotlight for that episode. For example, when Raymond is confronted by Amy is hilarious, yet full of heart. Or when Amy’s parents reveal that they’re just as insane as the Barones. The show ended the way a show should have ended. They didn’t end with a big event happening. Many do the cliche “family moving” like Growing Pains, Fresh Prince and Home Improvement. It makes sense because it departs not only the characters but also the physical sets as well. We realize that the settings these shows take place in are as much a character as the people are. Raymond ended off with an episode that just rectified the entire title. Raymond (the central figure) has complications during an operation and we get to see the reactions of the ones in his life. Justifying that everyone (at least everyone that matters) does love this man. Which is a sincere message and one many shows fail to accomplish. For the last show, we see the family sitting down eating breakfast at the kitchen table. A central hub of where most of the family encounters took place. They continue their typical family charm. Teasing, chatting and just being a family like they’ve always been. We’re left knowing that the Barones will continue being the Barones and that leaves me feeling good. Not drained, dismal or relieved. Just satisfied that this family still exists. 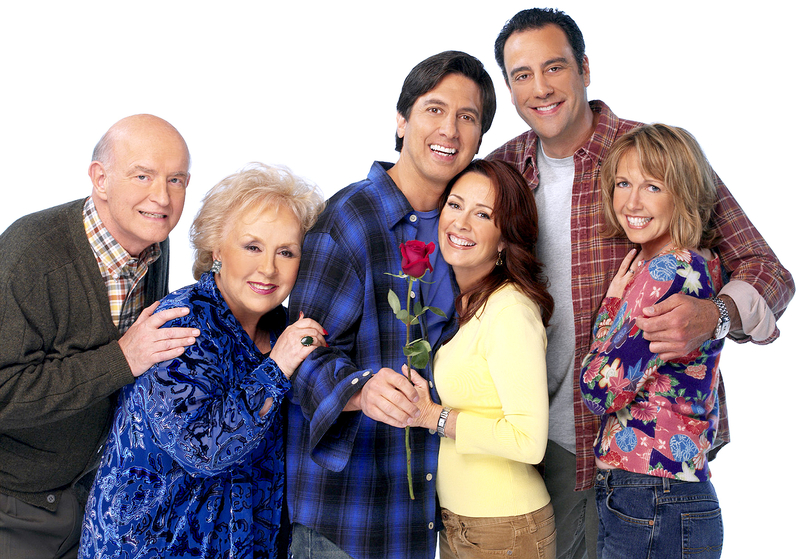 I miss Everybody Loves Raymond and understand that not all good things can last. Ray Romano himself wanted the show to end off on a good note. He was right. I have nothing but good memories and love watching repeats whenever on television. I have thought of downloading each season because it is a show I can watch beginning to end over and over again. For me, the best shows are too impossible to actually list. All of what you said was right. It got better and better as it went on. I love watching it again and again. Totally. It didn’t need a death or dramatic twist. Just a reminder of why we loved the characters. You said it perfectly. I know of your love for both shows. Everybody Loves Raymond was one of the best. A real tonic. It’s one of the best. I can never get enough of the humour. I never got into Everybody Loves Raymond while Frasier was alright as I was more into Niles than Frasier as I think Niles and their dad are hilarious. Niles and Martin stole so many scenes in this. I watched all of Frasier at the time, and loved the witty script. I loved Lilith, and her ‘put-downs’. I have never seen any of the other one though. Lilith was great. The ice maiden with the dead pan voice and wonderful timing. Niles is so amusingly uptight and awkward. An interesting foil to Frasier’s more confident persona. I’ve never seen either of these! Oh you should. I’m almost certain you’d enjoy them. I’m with Jay, never seen either of these! I bet you’d dig them. I’ll add them to the other lifetime I’d need to keep up with all the awesome recommended to me in these blogs! I too would need a lifetime. Love that Antiques Roadshow episode, too funny. If I had to pick a top 2, it would probably be The Office and Peep Show. I’ve liked The Big Bang Theory, Parks and Recreation, I Love Lucy, 30 Rock, Veep, and Cheers. My grandmother loved Everybody Loves Raymond, and would watch it religiously. The rest of the family – Not so much. If you like Cheers, you’ll love Frasier. I really need to check out Frasier! Oh I highly advise it. Oh no, you can post as many links as you want. There’s plenty, but one is enough ha. I think the third quote is the one you’ll like most. It nails the relationship between Marie and Frank. He is always able to control her. The only one who can. I’ll give it a look soon. Never seen Everybody Loves Raymond. I am a huge fan of Frasier though, it is so funny and manages to perfectly mix comedy with poignant moments between the Crane lads. I think it’s a bit like Only Fools and Horses in that respect. A few other series I love are Friends, Fawlty Towers, Dad’s Army and Cheers. 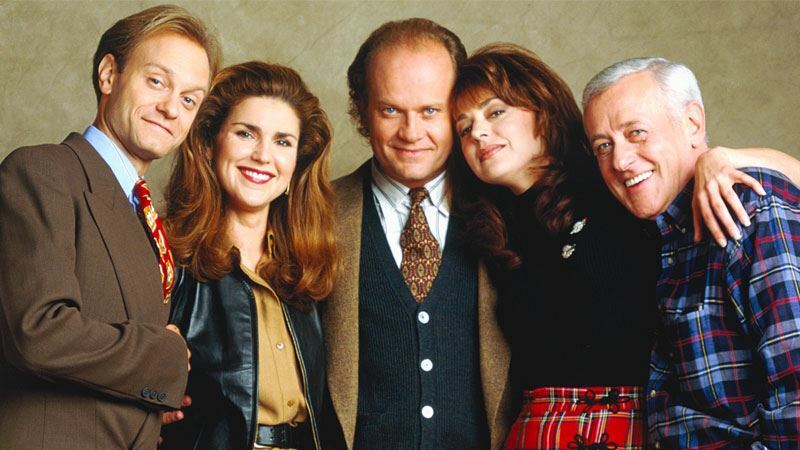 Yes, Frasier balances deep family drama and major laughs. One of the reasons I love it so. Everybody Loves Raymond is slow paced and cosy. Usually that would be a bad hing, but there’s so much charm, humour and pathos that it really works. It will never be cool or edgy, but it’s wonderful. Yes, the Barone family are a blast. Would be interesting to spend an afternoon with them. A few stories would arise from it. Oh Frasier is simply amazing. I’d recommend it to anyone.